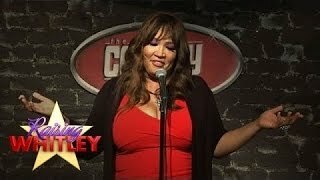 Kym Whitley starred in her own docu-series titled “Raising Whitley” for 4 season on OWN, which followed Kym as she takes on the role of a lifetime – being a mom to her adorable son Joshua, who she adopted in 2011. The show also highlighted Kym’s chaotic collective of friends – whom she calls "The Village” – as they attempt to do something none of them have ever done before: raise a baby…together. The show’s premiere episode drew a total of 1.2 million viewers, making it the fifth highest-rated-premiere in the history of OWN.